[Michigan, July 9, 2018]: The American Human Rights Council (AHRC-USA) welcomes the Department of Homeland Security decision’s to extend the Temporary Protective Status (TPS) to nationals of Yemen for another 18 months through March of 2020. This renewal will grant Yemeni nationals who already have TPS an extension of their temporary legal status with the ability to work. AHRC welcomes such important step towards Yemen and its nationals, however, in the large scheme of things as to Yemen, this is such a token with very limited effect. The beneficiaries are only 1200 Yemeni nationals. 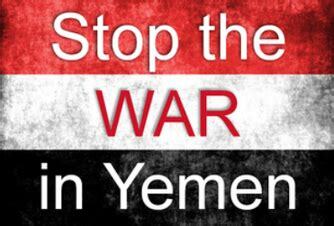 The Yemen war has devastated the whole country and millions of Yemeni are suffering. Yemen is one of the countries included in the Muslim Ban, a ban that was upheld in a Supreme Court 5-4 decision. Regardless of the legality of this Ban, and we recognize the finality of the US Supreme Court as the legality issue, there is also moral obligations involved. As is often said, the US Constitution is a floor, not a ceiling. The minimal standard is not the moral or ethical standard that respects human rights. The Ban has greatly affected the Yemeni American community, many of whom have family and other relatives in Yemen or dispersed in the world waiting to obtain an immigrant visa. This is a humanitarian crisis and the TPS extension should not overshadow this reality. There are more Yemenis with ties to the US prejudiced by the Trump administration’s policies and the TPS extension should not make us lose sight of that. While the US Supreme Court has the final world on the law, it does not have the final say on the politics of the Ban. The Ban is one signature away from being done- by the President if he is persuaded to do so. Congress is the lawmaker and the President has to execute the laws passed by our lawmakers. Congress can pass a law ending the Muslim Ban. The battle for ending the Ban is far from over. AHRC salutes all sister organizations, community leaders locally and nationally, who spared no effort advocating for the renewal of the TPS and calling for peace in Yemen, as well as all elected officials who joined hands for such renewal to occur. “It is one thing to say that the US has no power to end the war in Yemen, quite another for the US to stop children, spouses and relatives of Yemeni Americans from immigrating to the US,under the pretext of national security,” said Imad Hamad, AHRC Executive Director. “We will continue to advocate for ending the unjust Muslim Ban and for a real international effort, led by the US, to end the unjust war in Yemen,” added Hamad.